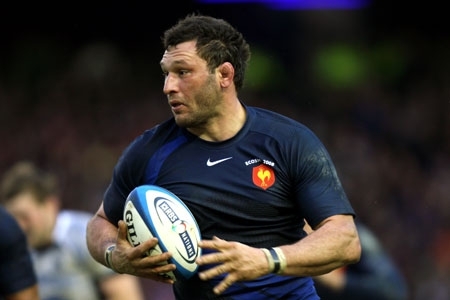 France have drafted veteran lock Lionel Nallet into their squad for the RBS Six Nations opener against Italy. Nallet, who has racked up 70 caps in his long career, will replace Romain Millo-Chluski who suffered a shoulder injury playing for Toulouse at the weekend. The 35-year-old played a big part in France's run to the final of the World Cup but was omitted from new coach Philippe Saint-Andre's first squad. The provisional squad of 30 players take part in a three-day camp this month before Saint-Andre cuts the party to 23 for the game at Stade de France on February 4.